Why is my MIDAS ID blocked? As part of the validation process whenever you install or update a self-hosted MIDAS system, the validity of your unique MIDAS ID (product key) is checked. The Authorization Server detected that the MIDAS ID you entered appears to have been used on multiple servers, and so has blocked it. You've moved your MIDAS system to a different server/URL, and haven't used our online Self Service Maintenance tool to let us know of the change. 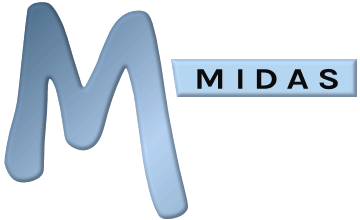 Your MIDAS ID (product key) has become public, and therefore we have pro-actively withdrawn it to prevent abuse. To resolve an "Authorization Failed" message, please ensure that you have not installed more instances of the software than your MIDAS ID allows (typically two, as per the license). If you are "moving" your existing MIDAS system over to a new server with a different domain name, please follow the instructions in our "How to relocate MIDAS to a new server" KB article. If your domain name has changed since you last installed MIDAS, please use our online self service maintenance tool to update your MIDAS configuration. If you've followed the above steps and are still unsure when your MIDAS has been blocked, then please contact us and we'd be happy to advise and assist.